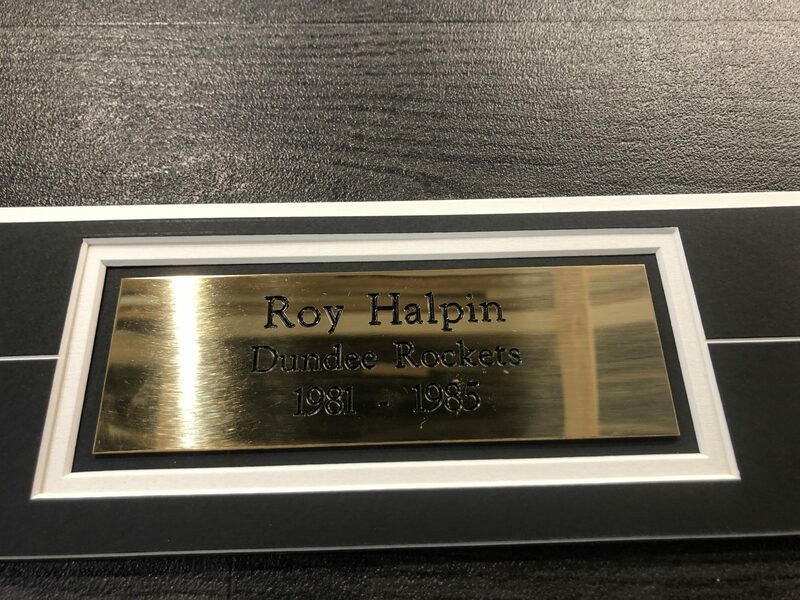 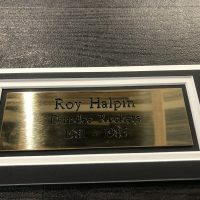 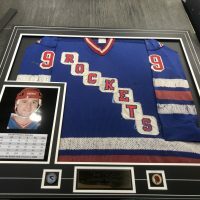 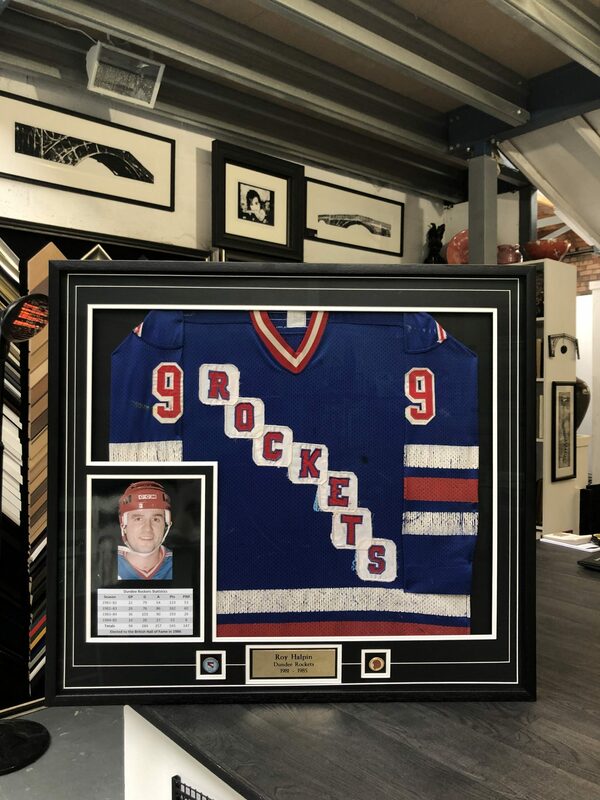 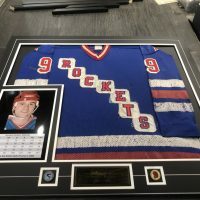 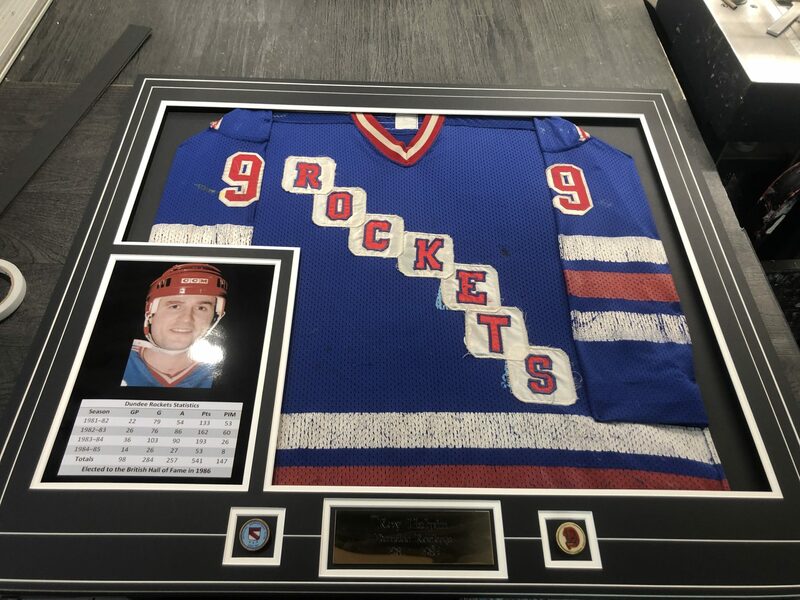 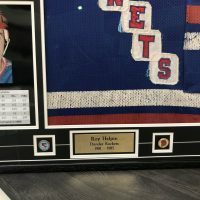 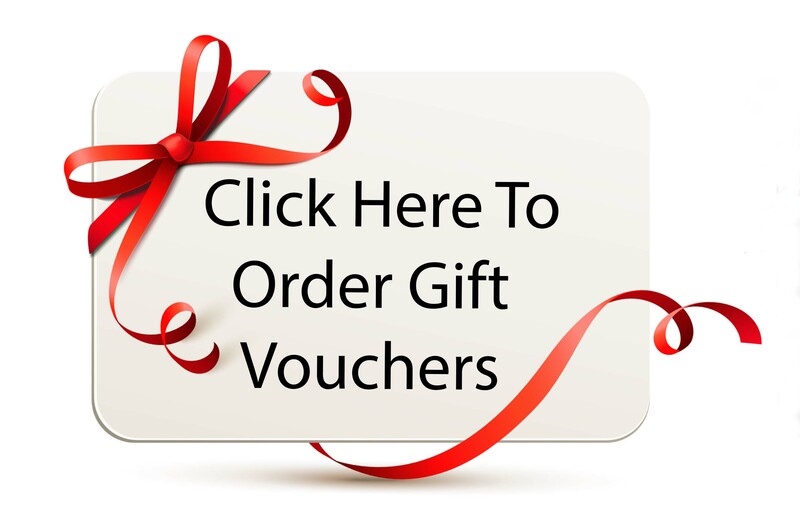 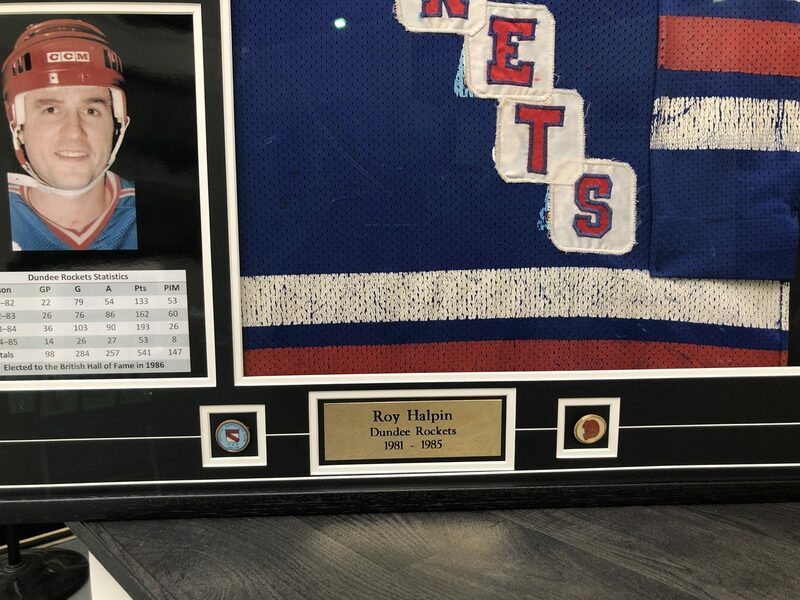 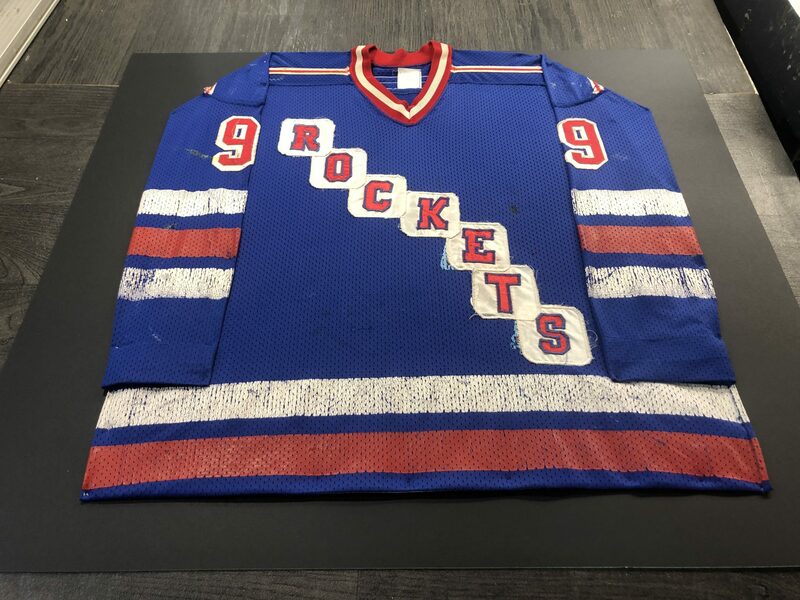 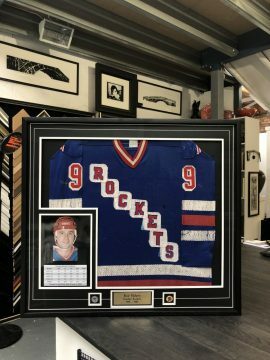 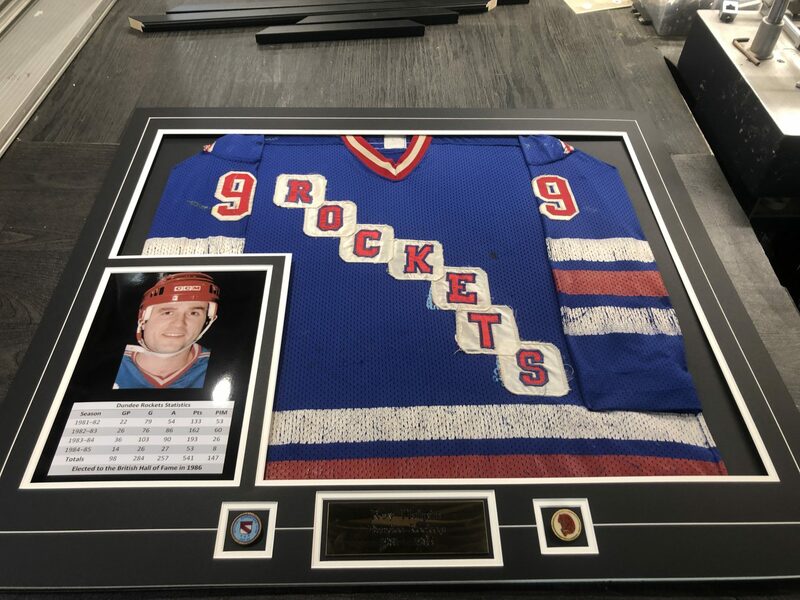 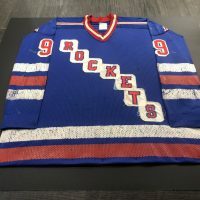 We have worked on so many different kinds of sporting memorabilia including Running, Football, Rugby, Cycling, Hockey shirts, and even a Golf Tunic! 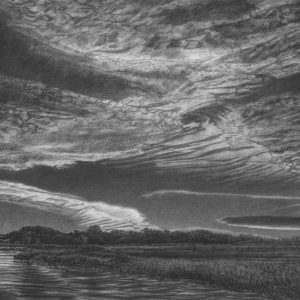 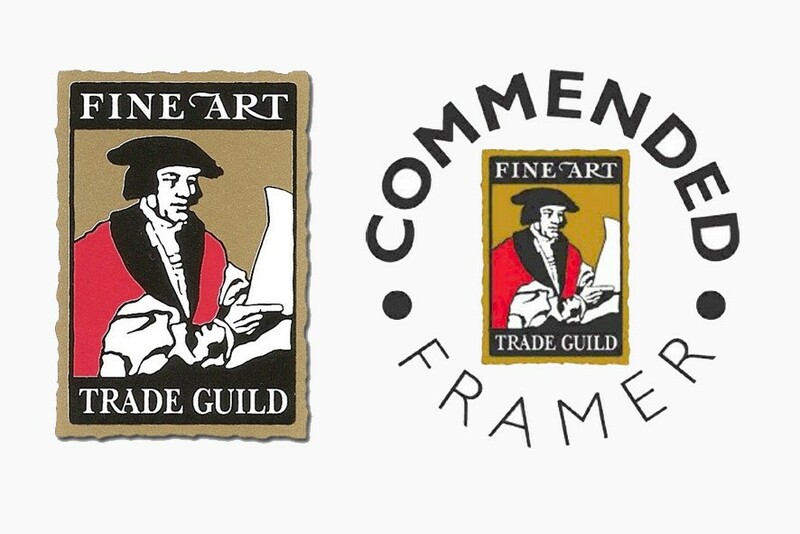 Each and everyone has been framed in different and interesting ways to enhance the piece itself. 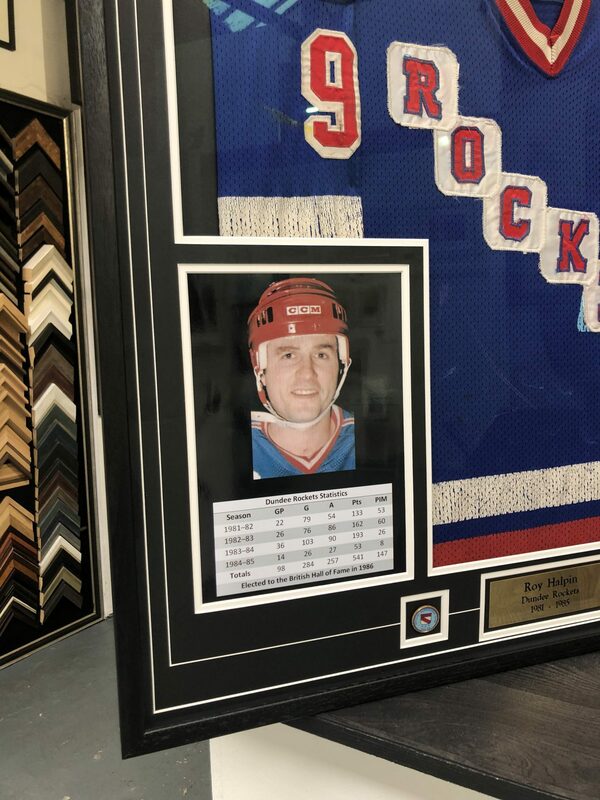 Below is a Hockey Shirt that we framed with five apertures and five mount layers. 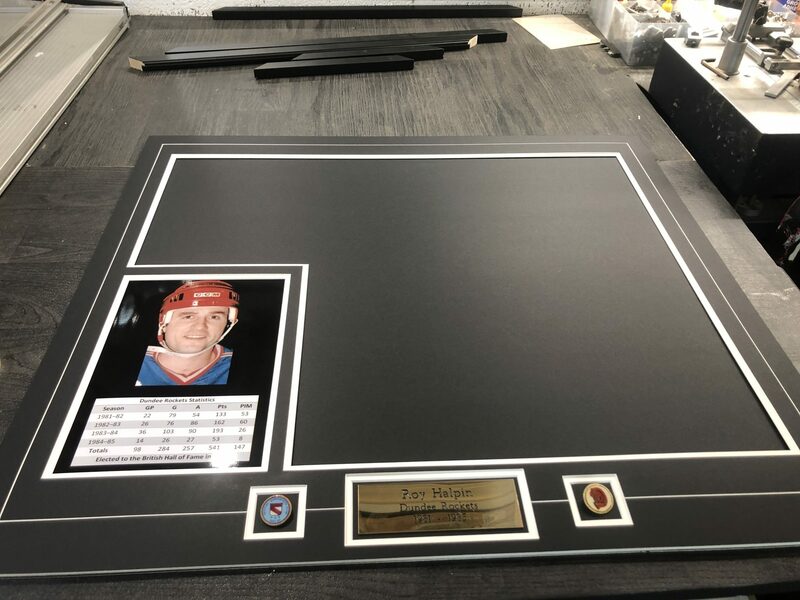 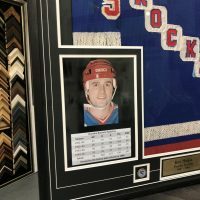 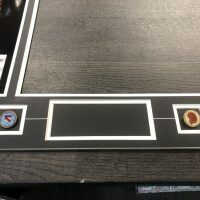 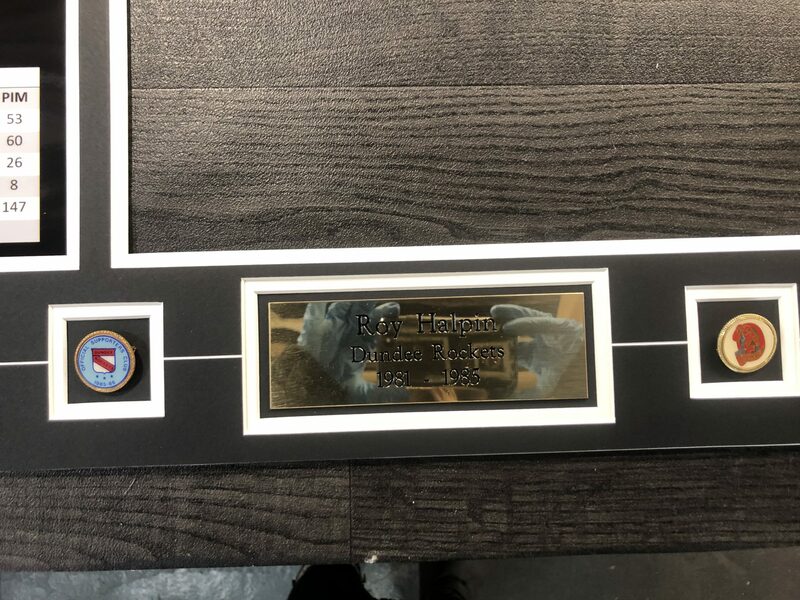 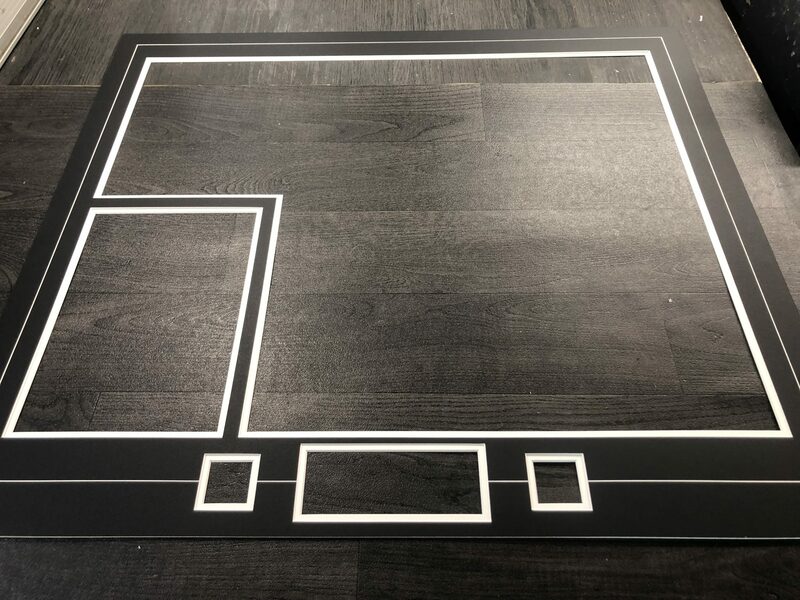 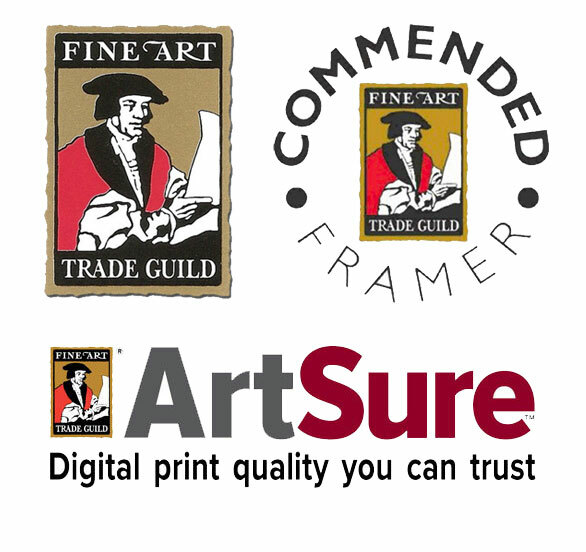 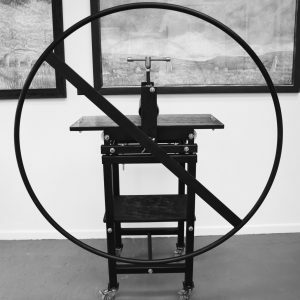 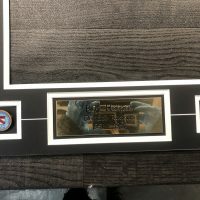 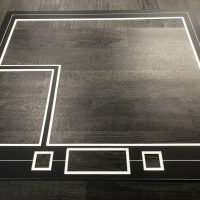 We have over 100 different mount colours, in Conservation and Museum Cotton Core options to allow you to choose the level of protection that suits the standard of framing you would like to achieve. 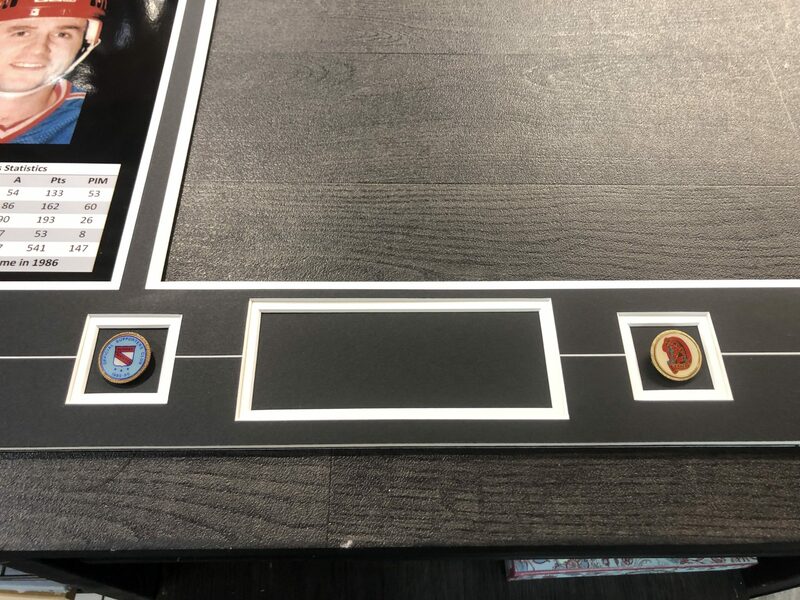 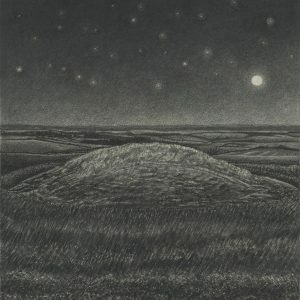 Below you will see the different mount layers and how this piece was brought to life. 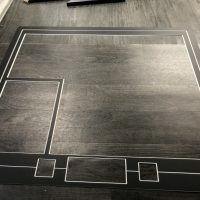 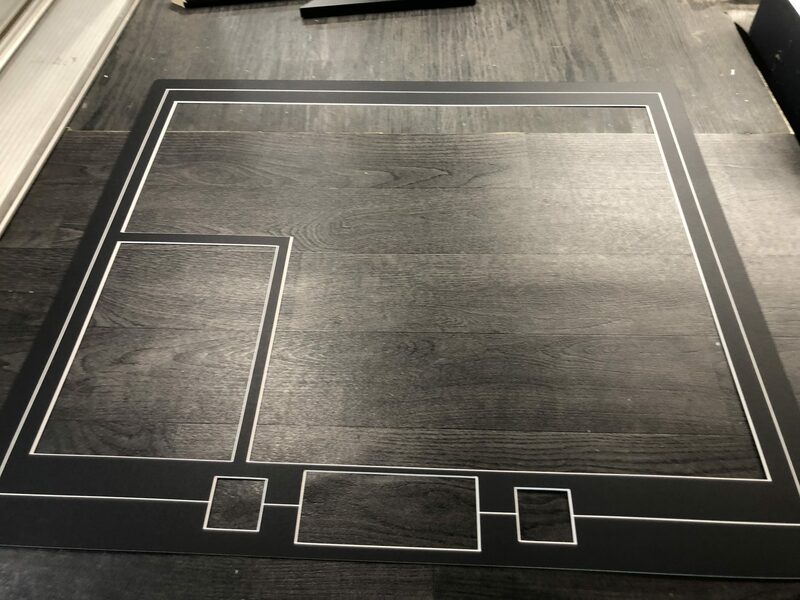 The customer chose to have a v-grove encasing the largest aperture which goes through the center of the bottom three apertures, this works amazingly to tie all the different apertures together. 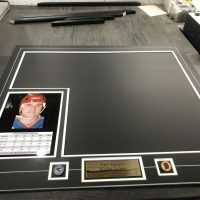 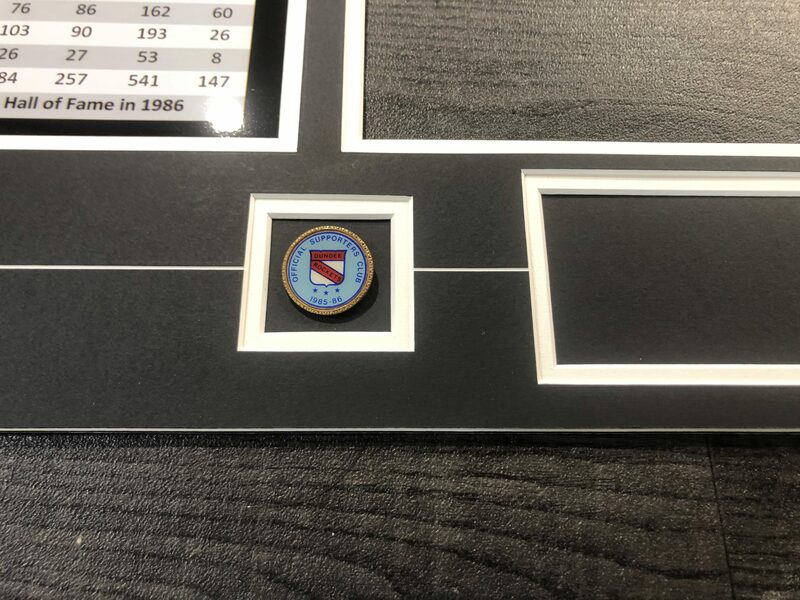 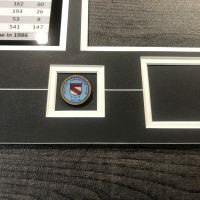 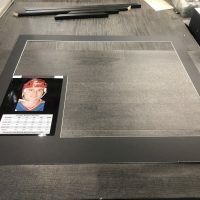 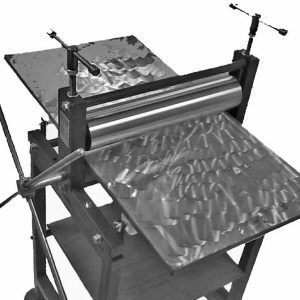 Our incredible Gunnar Computerised Mount cutter has intuitive software that helps us create and perfect even the trickiest of mount configurations so feel free to put us to the test and challenge us with your vision for your memorabilia. 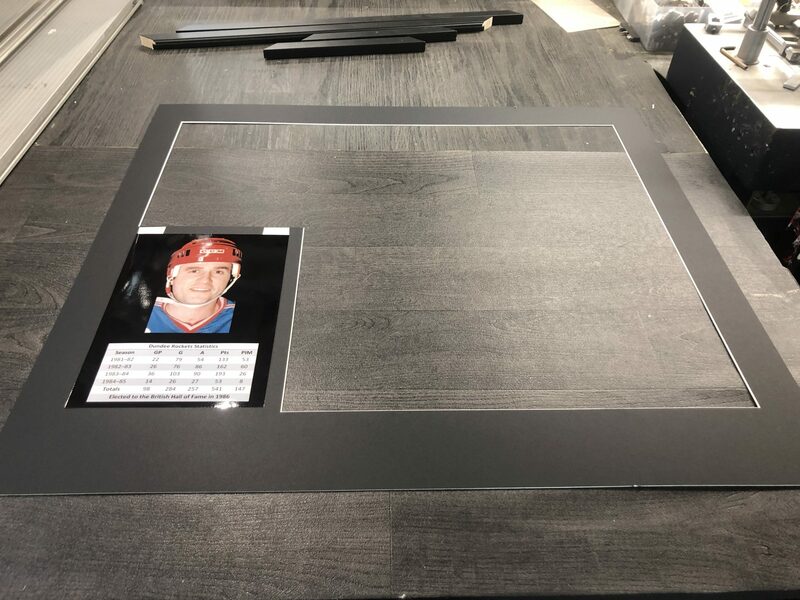 Finishing this piece off with Invisible UV protective glass was the perfect choice to give viewing clarity and also stop the harmful effects of UV Rays. 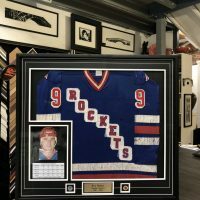 PrevAcrylic Display Case for displaying 3D Artwork, collectibles, memorabilia, models and much more!